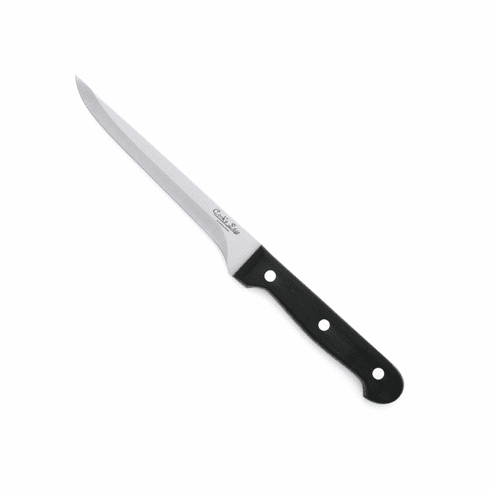 Features high carbon stainless steel blades with a hairline finish. Full tang handle for balance and triple riveted bakelite handles. Handle, 4.75"/12cm. Blade, 7"/18cm. Hand washing recommended - Never put cutlery in the dishwasher.